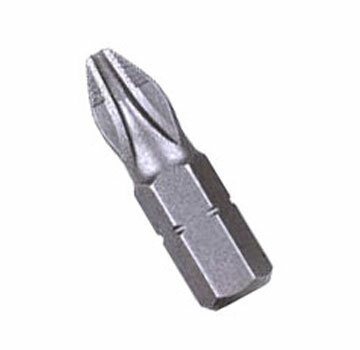 PRODUCT: #2 X 1" PHILLIPS 1/4" HEX SHANK, ACR RIBBED DRIVE BIT. DESCRIPTION: ISO tempered tough, fracture resistant tips provide extra long life. Easily drives case-hardened and drywall screws. ACR, anti-camout, claw-like ribs grip screws to greatly reduce slippage. Made in USA.